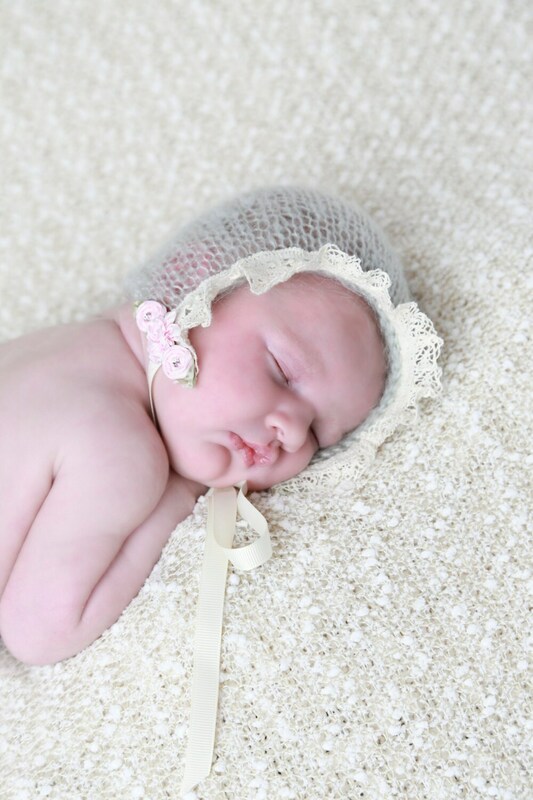 Sage Mohair Bonnet for Newborn, Vintage Trim and Pink Satin Roses. Perfect for newborns, either for photo shoots or everyday wear. These are super soft and come with a grosgrain ribbon tie. Fits newborn to 3 months. 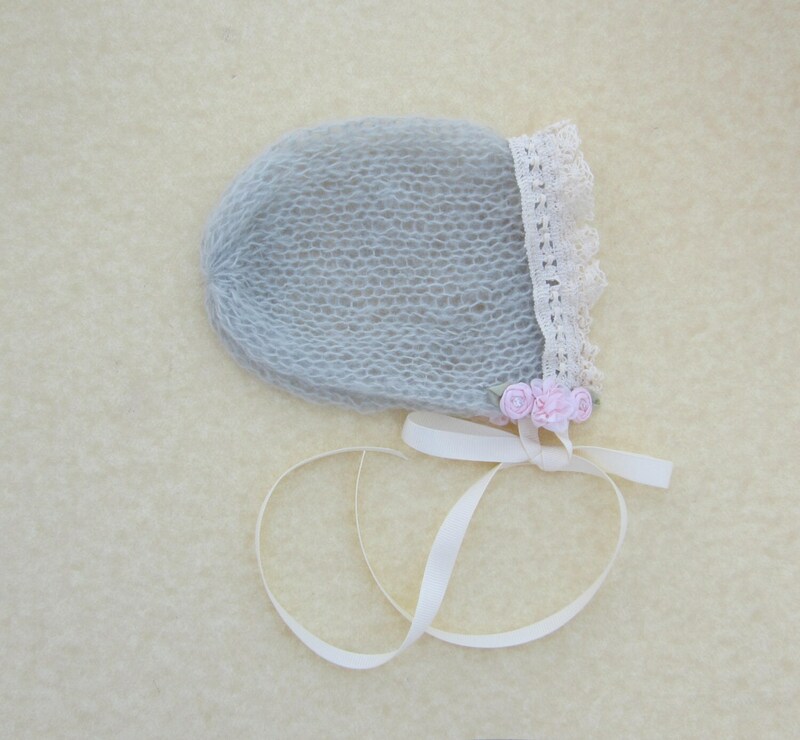 The ivory bonnet is shown for informational use only, this is for a sage colored mohair bonnet. Purchase this also for a rush order.